The Science Education Programs at Mercy College and Teachers College are pleased to partner and host of our annual, regional conference! 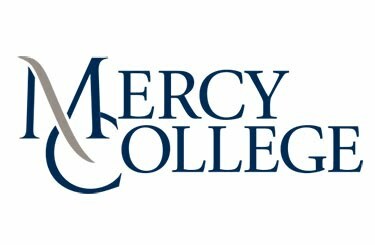 While TC has a long, rich history or supporting NE-ASTE, Mercy College is a new partner for us. 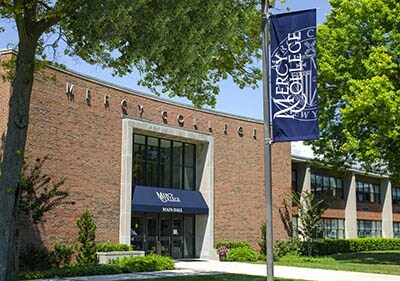 As a federally-designated, Hispanic-serving institution, Mercy is well-situated to support the work of NE-ASTE, as we strive to reach all learners. This collaboration will allow us to connect with more in-service and pre-service teachers through their robust science education-related initiatives and enjoy proximity to Hudson River. We welcome our keynote speaker, Dr. Bob Chen! High resolution ocean observations throughout the Hudson River, Estuary, and tributaries suggest that sewage contributes a significant amount of the organic matter that is exported into the coastal ocean off New Jersey. How do you make this interesting and understandable to students? Will involving them in authentic inquiry inspire them to consider a career in STEM? How can scientists and teachers translate authentic research into standards-based classroom activities given the pressures of high stakes testing and now NGSS? Join me in exploring these questions with examples from studies in your back yard…umm…estuary. Dr. Robert Chen's world revolves around collaborations in research and outreach. Whether designing a new environmental data-gathering sensor with engineers, working with district science coordinators on a new curriculum, providing support for K-12 or community college science teachers, Chen's raison d'être is collaboration. 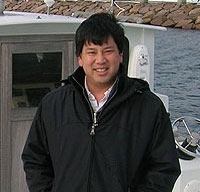 A chemical oceanographer with a research interest in organic geochemistry, Chen is a full professor in the UMass Boston School for the Environment. Noted for his efforts in K-12 science education and outreach, he received the University of Massachusetts President's Public Service Award in December 2005. "Whether it's for researchers and educators, or physicists and biologists and earth scientists, or administrators and faculty members, being able to bridge two different cultures and facilitate interaction effectively has increased my capacity," Chen says. "I've gained respect and trust from teachers because now I can I can speak their vocabulary and understand their perspective." Our main goal is to nurture all science educators along the continuum. So please feel free to share this conference with any one you feel might benefit from participation in this highly affirming professional experience. When you submit a proposal, please let us know if you'd like to share a research presentation (paper or poster) from elementary, secondary, informal, formal or graduate science education, pd workshop, or other related presentation. We will work hard to incorporate as many ideas and presentations as possible. There will be several concurrent sessions and several "all hands" sessions to facilitate this flow.